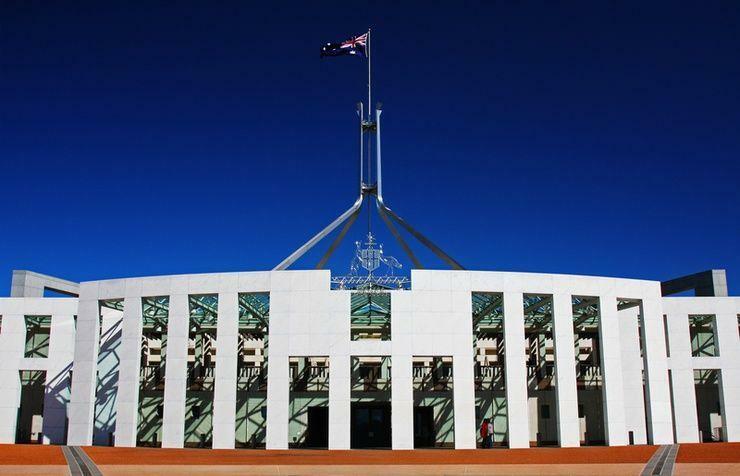 IBM, Fujitsu, Leidos Australia, Data#3, Accenture and Telstra are among the biggest providers of IT and technology services to the Australian Government, according to the latest figures by the Australian National Audit Office (ANAO). IBM alone won roughly $2.3 billion worth of work with Federal Government entities across almost 700 individual contracts between the financial year ending 2013 and the year ending 2017, according to a new report by the ANAO. 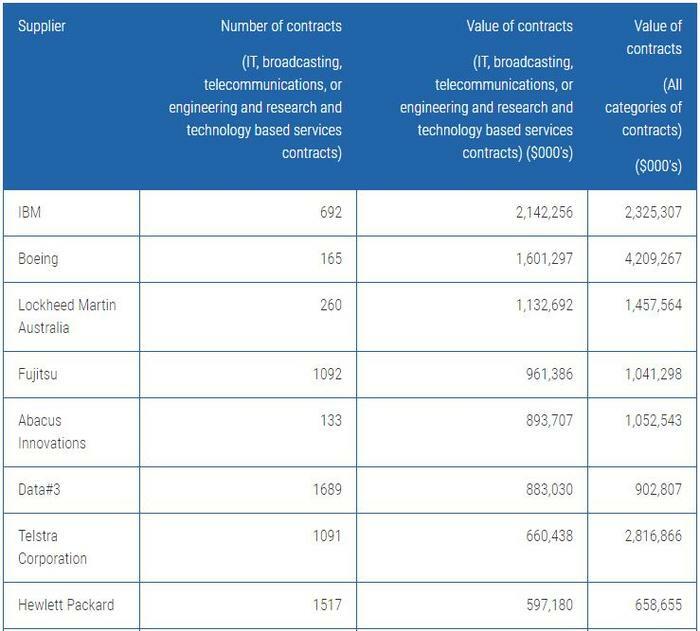 The Audit Office’s Australian Government Procurement Contract Reporting report, released on 6 December, reveals that the Federal Government spent roughly $35.9 billion on information technology broadcasting and telecommunications/engineering and research technology-based services between 2013 and 2017. In 2017 alone, the Government forked out $5.7 billion on services within the IT and technology services category, as outlined by the ANAO, about $1.47 billion less than the year prior. For context, Federal Government procurement activity across all categories in 2016-2017 was worth around $47.4 billion. Of the IT and telecommunications services providers named in the report, IBM – which was the lead contractor for the disastrous 2016 eCensus project – Telstra and Fujitsu were among the biggest procurement Federal Government contract winners between 2013 and 2017. Fujitsu, for example, won roughly $1.46 billion worth of Government work across 1,092 contracts over the four-year period. Abacus Innovations, part of Leidos Australia, was awarded $1.04 billion worth of deals across 133 deals between 2013 and 2017. Leidos mopped up the remainder of the Lockheed Martin's $800 million agreement with the Department of Defence to supply centralised processing services until 2022 in September last year following its acquisition of of the US Defence contractor' Information Systems and Global Solutions (IS&GS) business. Local tech player, Telstra (ASX:TLS) pulled in around $2.8 billion worth of work via 1,091 contracts over the period, while fellow Australian-listed supplier, Data#3 (ASX:DTL), won just over $900 million worth of Government contracts across 1,689 individual deals over the same timeframe. Hewlett-Packard, meanwhile, raked in $659 million worth of work during the period across 1,517 contracts over the four-year period, many of which would have been awarded to Hewlett Packard Enterprise (HPE) after Hewlett-Packard’s split into two companies in late 2015. Other notable IT suppliers in the report are Oracle, which won $544 million worth of deals across 674 contacts over the period, Accenture with $1.2 billion worth of work via just 127 contracts and Datacom Systems, which was awarded $583 million in deals across 336 contracts during the period. Optus, meanwhile, took home $568 million worth of contracts over the period, SAP Australia was handed $395 million worth of procurement contracts, Dell was awarded $361 million in deals and Unisys won $353 million worth of contracts. At the same time, CSC (now DXC Technology) won $388 million worth of work across 171 individual contracts, while Dimension Data took $462 million worth of procurement via 1,225 contracts during the four years covered by the audit report. Tech players also popped up among the top suppliers by value of consultancy contracts provided to Government entities during the multi-year period, with Microsoft notching up $246 million worth of deals across 38 individual contracts. The ANAO report into procurement comes as the Federal Government’s Digital Transformation Agency (DTA) unveils its first insights into its review of the Australian public sector’s major IT projects. In November, the Government revealed there were at least 72 initiatives that fell within the scope of a major IT project with a budget of $10 million or more. The 72 projects are occurring across 21 agencies and a total lifetime cost of $7.24 billion. “Currently the DTA is working closely on 17 high priority projects. The services they offer vary and the reasons that the DTA is engaged with projects varies but the single thing I would say is that they are there and they are involved,” Assistant Minister for Cities and Digital Transformation, Angus Taylor, said at the time. The move to take a close look at the Federal Government's billions of dollars' worth of IT projects came after a series of high-profile mishaps arising from IT contract arrangements stuck between government entities and external IT providers. HPE, for example, was involved in a drawn-out effort earlier this year to mop up the fallout of a major storage infrastructure failure and subsequent systems outages at the Australian taxation Office (ATO).